Franklin’s a passionate guy with many interests. He also has many responsibilities, namely supporting his family. He wants to go to college. How can he pull that off? Hey Josh, how’s it going? I’m sleep-deprived but overcaffeinated, so it should balance out long enough for me to give you a decent answer here. Hopefully you can point me to in the right direction. I’m a bit of a multi-talented, hyper passionate soon-to-wed father with a retail job and a dream. $5 via Paypal for the first commenter who knows why I chose this image. Multi-talented, hyper-passionate, dreams and employment are all very good things. You’ve already got a pretty good start, Franklin. Skipping my focus problems and what it is I want to do- I haven’t a clue how to attend a college while being the main financial support pf my family (my fiance’ is also in school). Well, I don’t mean to oversimplify it, but — you apply to college, apply for financial aid, and see what kind of aid package you get. If you can carve out the time for a couple of classes each week (and based on the rest of your note, I think you can) and you make the money situation work, you go. It’s really that simple. One of us has to work full time to keep a roof over our heads (right?) and that person is me. Possibly. Maybe not — depends on what kind of aid package you get. Remember, financial aid is not just designed for tuition and books — it’s also designed to allay the external expenses you have while you’re in college, including the roof over your head and such. My fiance’ has a scholarship for three more years of school and can’t afford to take anymore time off (no school=no scholarship). Keep that scholarship at all costs, for sure. But, I’ve really never met anyone who couldn’t afford to work some kind of part-time job into their school plan, even if it’s just 5-10 hours per week. There’s always the option of trying to set up a means of income by fixing computers, singing at weddings and events, performing magic shows, Selling Avon, and trying my hand with the stocks (all things I actually do-minus the stocks) but that would require more time than what I have to really set up a good schedule and business model (not necessarily impossible though). Well, those are all worthwhile ways of making some extra scratch, for sure (although I wouldn’t monkey with trying the stock market if money is tight). Remember, you’re just trying to make whatever money you can. You don’t have to have a perfectly functioning schedule and spotless business model. Just hustle whatever cash you can manage to grab. I truly have to go to school because I’ve made my life mission (besides spreading love and joy, being a loving and faithful husband, and raising a productive American) the goal of starting a school. A school which would require lots of expertise in many areas, as it ambitiously seeks to produce prodigious, compassionate people (there’s a mouthful). That said, I’ll require a lot of school. How can I possibly get the education I need when I have to pay bills (oh yeah, I have those too, but it’s not the worst) and effectively father a child (which involve being around from time to time)? The fatherhood part isn’t easy, of course, especially if you’re the type who actually likes to spend time with your kid. Then again, look on the bright side — your situation is exactly why student loans and grants were invented. The government likes multi-talented, hyper-passionate people, Franklin, and it wants them to get educated and fulfill their dreams so they can actually grow up and be successful and pay taxes. It really does. However, it does also realize that everybody’s gotta eat and can’t live under a bridge (especially if you’ve got a child). So, there’s federal financial aid. Get loans and grants, then cut back your hours at your job and use the loan and grant money to make ends meet while you’re in school. Bonus: you get extra time with your kid that way, too. Additional notes: I’m a minority. Good news for scholarships and financial aid. I’m on the verge of testing for my A+, Net+ and MCP IT certifications. I sing, write, play the piano, perform magic, dabble in psychology (including some counseling experience), sell Avon, was an excellent math student, like squirrels, am learning the banjo… trying to utilize your hint here with these TRUE facts to help you help me. Well, you’ve certainly got plenty of tools to help you get side money. The computer certifications are great for that, as is the magic. Avon and banjo, probably not as much, and I think you threw in the squirrels thing just to see if I was paying attention. In any case, you’ve got plenty of tools to cover your nut, as the gamblers say, while you’re in school. If you can give me a bit of direction, I appreciate it Josh. You’re welcome, and I think I’ve covered it in the above. Good luck to you, and please come back and let us know how it goes! What about you guys — any tips for Franklin on how to make it all work while going to college and supporting a family on one income? Let us know in the comments below. My guess would be because Franklin is always the over-achiever. Totally capable, smart, and good at what he does, and still keeps wanting to add more onto his plate than needed, just to find out that he can just take it slower. Working and going to school is a lot easier than it seems. I am a married woman who works full-time from home. I’m finishing my FIRST degree and am in 2 Honors classes this semester. I also have a 12-month-old who is learning to walk and wants all of my attention. I’m the sole provider as well as the one who does the cooking and cleaning. I take it all on (at the cost of leaving my poor husband bored), and still have time to have fun. If you think about it, school might take 5 hours out of a day. We’re up for 16. You’ll be up for less with a kid, but that will probably just come out of your sleep. There are definitely as much as 8 hours a day to work. You’ll be tired, but it can happen. If you and your future wife work together to do part-time and combine an income, it’s hard work and you’ll be tired, but the reward will be well worth it. Also, financial aid is a fantastic thing. Most semesters I get around $1k extra after tuition, fees, and books are all paid for. Getting that boost every few months is wonderful. Franklin is a kindred spirit with that Type A personality that has a sense of responsibility along with the drive. Here are a few thoughts based on the skills that he writes about. Try to get a county, state, or Federal job. A low level government job will pay about the same money he makes in retail. The benefits will be better and for any Government Service, you get $4,000 towards the student loans. If I were smarter when I was younger, I would have entered the National Guard or Coast Guard part time. As a part time enlisted, you still get military preferential tuition benefits, as well as a great package for tuition reimbursement. The military offers a lot of training. This training translates into college credits, which translates into tuition savings. If you take the enlisted route, you get preferential hiring status and the wife gets benefits as well being a military spouse that will help her pay off any loans, child care, and help her get a job on graduation. The fact she is a scholarship student, she may want to check some public service intern programs. The pay starts out crappy, but when you are driven you can move up the chain relatively quickly. I know college grads starting at $28K in Federal Service, getting their Masters at no cost while working and coming out the other end in less than five years usually around $72K. A few of the exceptional go getters are pushing that 6 figure mark. … Just keep in mind the government has a huge deficeit and watch the news. See what’s happening and make a wise decision and know when to cut your losses and pull out if you need to. Other retail organizations, offer tuition reimbursement. Do your homework and apply to company that will help you advance. 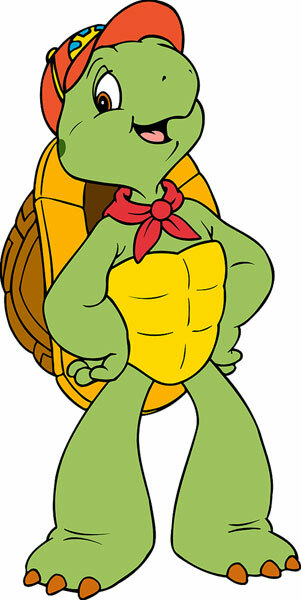 You can do it Franklin! 😉 I’ll pray for you! Franklin, should look at attending an online College, such as Limestone College. Online classes require alot of time management skills, but are very flexible for the adult learner wanting to attend college. And he’s a multi-talented person that can count by 2s and tie his shoes! You can do this. Start with scholarships/grants, and apply to college and see what financial aid package they will offer. If need be start going part-time, not as much financial aid, and see how it works juggling work, family and classes. Get your certifications and switch from retail to part-time computer work–either with a company or self employed. Lots of people need people with your certificate skill set. It should pay a little better per hour than the retail gig, too. There are scholarships for children of people that are in unions, and certain organizations–McDonald’s, K-Mart, Wallmart, etc–offer schorships if one of your parents worked for them. There are tons of organizations that offer these. Also were you ever a Boy Scout, Eagle Scout, etc… If so check into their scholarship programs, they’ve got some. When you were in high school, or if you attended community college were you part of an honor society? For example, Phi Theta Kappa? More grant money there. Your employer might have scholarships too. Check into it. I am 42 yrs old, full time student, and working full time. I work as a caregiver for my disabled mother. So I clean the apartment, do the errands, laundry, get her to all her medical appointments by bus since we don’t have a car. I carry 15 credits at Seattle U as a History major–so tons of reading homework. Just got grades for winter quarter, 2 A’s 1 B, GPA 3.467:) It gets busy at times and stressful around finals sometimes. But I am a junior with one more year to go, and I plan on having a 3.5 GPA by end of spring quarter, and graduate with a 3.75 or better next year. It is a challange, sure. But i know I’ll make it and it will open doors for me and give me the chance to earn a better income and take care of my family. You can do this. Talk to your college, financee, and financial aid contact and see what you can all work out so you can swing the costs and get in school. You certainly have the drive to thrive in school. So go for it. Absolutely possible. My husband and I are both in school, and support 3 kids on our scholarships. You can apply for married student housing, utilize meal plans and health clinics, and on-campus daycare to get you both through school. Absolutely apply for every scholarship you qualify for, this is the biggest mistake people make. I apply for literally hundreds every year, every little bit counts, and they add up, believe me! It helps to rock at math (My major is physical science/mathematics, and I’m a minority – Native and a woman). You can do it! Good luck! If you have the time and are a good salesman, you should continue to sell Avon. If you like squirrels, you may consider learning how to be a taxidermist. You would probably have to stuff more than squirrels, but once you find someone to teach you the business and learn it, you could invest in some taxidermy supplies and set up a side business. If you are really good, you could probably make good money and help perserve squirrels for life. If you go that route, accept only a little business, so you do not become distracted from your duties as a student, father, and husband. If you can obtain those certifications, you may want to look into part-time work in a field that can utilize your skills. If you do a search on the internet, you might find scholarships specifically for working dads or adults returning to school. You can impress the scholarship committees by writing thoughtfully and passionately about your goals for life. In addition, there are many scholarships that ask questions about career, personal, academic, and life goals. Franklin, one option I haven’t seen mentioned is taking classes online. Check to see if your local university has an outreach program. I don’t know what kind of school you want to open, but it’s fair to say that you probably need a PhD in your focus area and a degree in education with a focus on the school type you plan to open (early ed, special ed, etc.) There could be a school that at least will allow you to take some of your classes online. If you choose one that doesn’t require you to attend live online lectures, it will offer you maximum flexibility. Once you finish your bachelor’s, many schools offer professional outreach programs for PhD programs. My boyfriend teaches chemical engineering at Auburn University, and you can get a PhD from them in chemical engineering using taped lectures, online coursework, and working with an advisor who is also one of your professors. When it’s time, they come here to do their preliminary defense, and again to present their final dissertation defense. Like everyone has said here, go for every scholarship and grant you and your wife qualify for. Check with professional organizations related to both your fields of study as well as every fellowship, online, and school-based scholarship you can find. If you need extra cash and are a good enough pianist, I would check with your local music store, music school, or the music department at your university to see if there are teaching opportunities. Even if it’s offering additional classes in ear training or theory, it will give you additional instructional experience, and (take it from a music store/school accountant) the money isn’t bad! This is going to mean lots of big changes in your life, but going back to school always does. When I decided over 3 years ago to get my accounting degree, I was 35 years old, was a single mother of a 15 year old son, and already had 17 years of accounting experience but was excluded from the good jobs because I didn’t have a degree. I decided that going to school online was the best option for me because if I lost my job in the then declining automotive industry (which I did 7 months later) and had to start commuting 45 miles away (which I’ve done for most of the time since then), that I needed that flexibility. For me, the online programs have been a Godsend. I like Franklin…I really really do. And I think he can and should go to college. And I’ll bet there’s aid out the wazoo for him with a family of three (when they get married) on one income, with another family member in school (the soon-to-be wife). Single man with a job alone won’t get it for him. Perhaps there’s scholarships out there that speak to his minority status. It’s gonna be hard. It’s gonna take a lot of time. It probably won’t be fun most of the time. And there will be a lot less money, sleep, and family time than you want. BUT…if you invest in the future now, it will pay dividends later, kwim? GOOD LUCK! I am a single mother of three and I am currently in school and supporting my family. Definitely look into scholarships because they will help more than you know. Anything you want to do you can do but it will require lots or work, missing a few hours of sleep from time to time. The family will love you and respect for and it will also teach them the value of hard work. I will be a lesson for the children to see growing up. It is definitely hard missing some things with my children, but the end result is quickly approaching. If you have small children the years will go by fast. Then you will be there for the really large award ceremonies for your children. Invest in yourself and it will also be an investment in your family as well. Good Luck.